We were very pleased to assist Ironclad Developments with civic clearance to begin construction on this larger residential project. 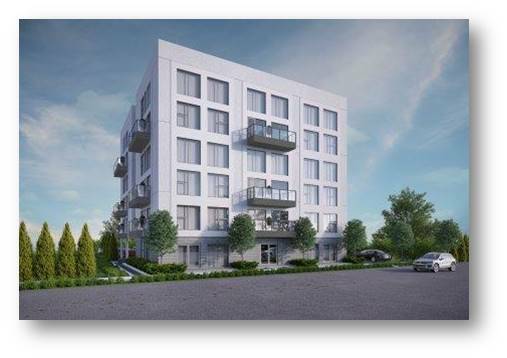 This apartment complex will consist of a five-storey multi-family residential building encompassing 78 residential rental units which will include 6 studio units, 33 one-bedroom units, 33 two-bedroom units and 6 three-bedroom units. This property had been highly underutilized for many years, which is why we are pleased to see an exciting development that will add new life so close to the Provencher business strip.